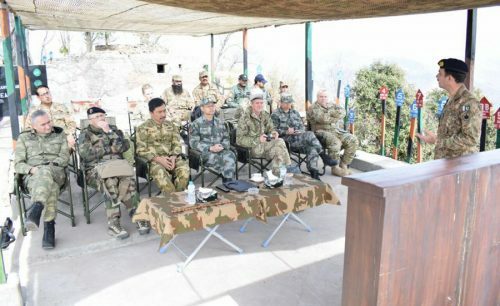 RAWALPINDI (92 News) – The defence attaches of the United States, United Kingdom, France, China, Turkey and Indonesia visited the Line of Control (LoC) in Rawalakot Sector of Azad Jammu & Kashmir on Friday. In a statement issued by the Inter Services Public Relations (ISPR), the defense attaches were briefed about Indian atrocities along the LoC and deliberate targeting of civilians by the Indian army. They also interacted with ceasefire violations victims and gained first-hand knowledge about their sufferings. 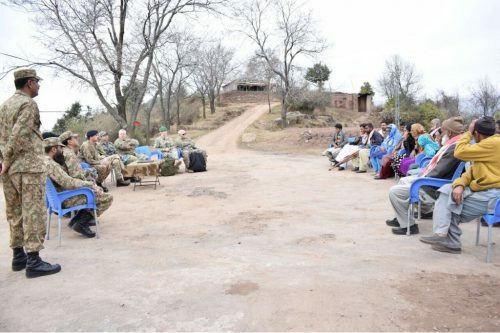 The visiting dignitaries were also apprised about activities undertaken by Pakistan army to provide relief to population of Azad Jammu & Kashmir.